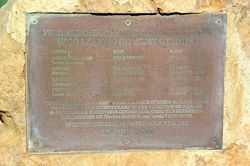 A plaque presented in the bicentenary year commemorates the scientific expeditions of Nicolas Baudin and Louis Freycinet and other expeditions who landed on the shores of Shark Bay. 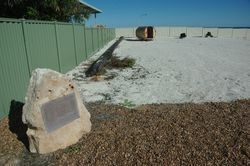 Shark Bay was a key destination for European navigators visiting New Holland. 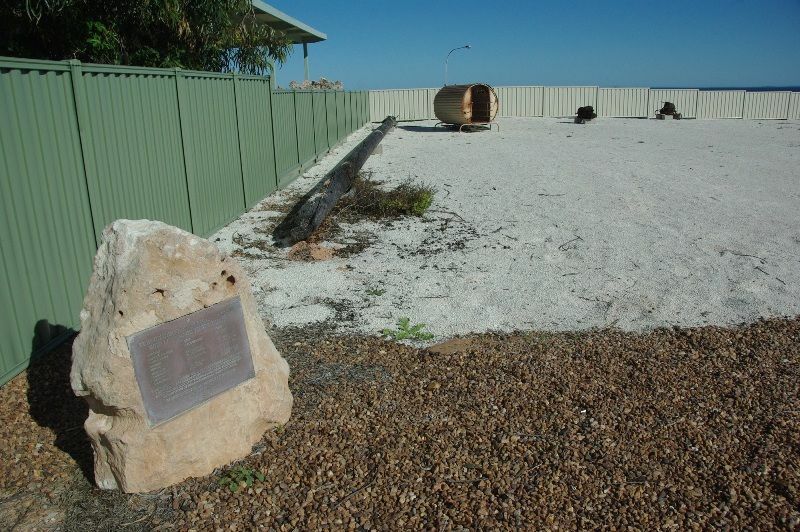 William Dampier named the area Sharks Bay in 1699 and a Frenchman, Francois St. Allouarn, laid formal claim to the territory for France in 1772. Later, in 1801, Nicholas Baudin's ship spent fifteen days on Bernier Island collecting many species of wildlife, then mostly unknown to science. This expedition was also the first European contact made with aborigines.